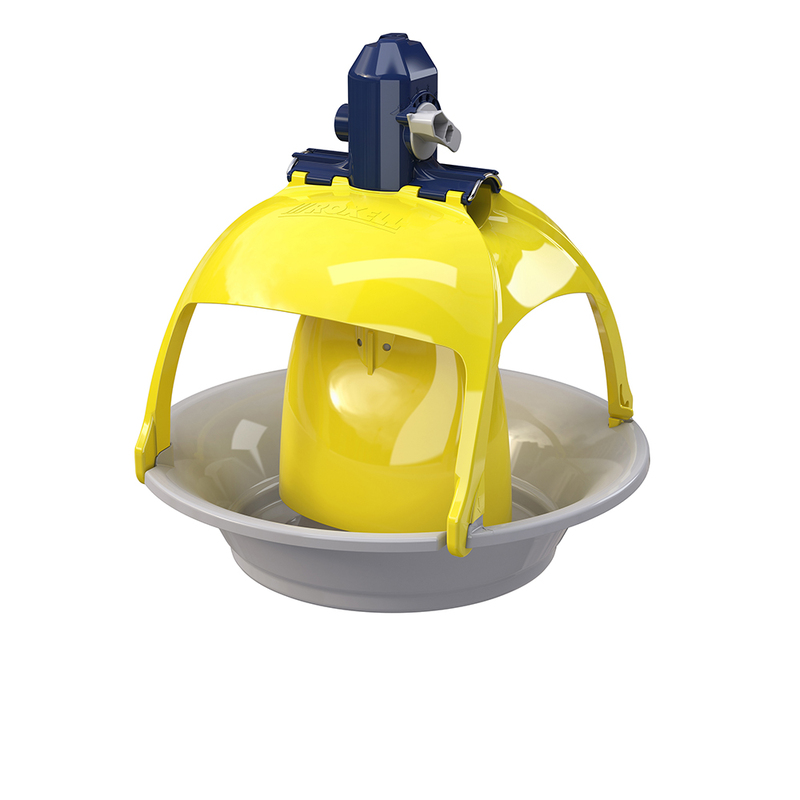 An automatic feeding system for turkeys, designed to combat the practical problems that come with feeding larger and stronger birds, has been launched by Roxell. The company claims that Titan is the largest, strongest and most easy to clean pan on the market. The pan is larger than any other on the market, with a circumference that’s 21% larger than Optimax, which is now the company’s second largest turkey feeder. Not only do large adult turkeys require extra space, but they also need stronger feeders, so this product has also been designed with greater durability. The connection between the pan and the tube at the top is now 20cm, compared to just 5cm, which provides a larger anchor and strengthens the pan. Cleaning after each flock is also quicker, according to the manufacturer. The pan opens easily, with a click, from the side, allowing it to be cleaned using a pressure washer system without having to completely remove the bottom of the pan. And, for new flocks of chicks, there is also a starter pan. This sits inside the feeder, which is easy to switch once the birds are between five and seven weeks old. Producers who trialled the pans reported that more birds were able to feed at any given time and that, as a result, feed intakes and feed conversion efficiency, as well as end weights, improved.